So, You Want to Become a Writer in the Schools? Join us at the 2013 AWP Conference in Boston, March 6-9. 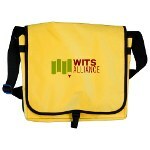 Here is a list of the Writers in the Schools (WITS) Alliance events this year. All events take place in the Hynes Convention Center unless otherwise noted. This reading by new, veteran, and former WITS teachers will explore what it really means to be agents of the WITS mission—to engage children in the power of the written word, to nurture imaginations, and to awaken young minds to the adventures of language. Readers will discuss how WITS teaching can sometimes be at least as revolutionary for teachers as for their students, even having potentially life-altering effects on teaching, writing, and overall worldview. Four poets will share work by young students as well as their own work. They will discuss the ways in which their work with school children has affected their own writing. Two of the poets will have participated in the AWP WITS Day of Service and will tell about that. Students from the Day of Service project will be invited to the event. From lyrics on the nesting habits of eagles to odes to the ozone layer, teachers are incorporating creative writing projects in science, math, and social studies curricula. From kindergarten to college, instructors are being asked to merge the disciplines. In this session, panelists will share strategies to engage students in creative writing across the curriculum. If every organization is the lengthened shadow of one person, and if the MFA is the new MBA, then poets and novelists are already equipped with the imaginative drive and divergent thinking necessary to start and operate a successful nonprofit. This panel of founding directors and arts administrators will provide useful information on how to start a literary non-profit. We will guide participants through the process of incorporating one’s passion into a viable project working for public good. Non-profits start brainstorm sessions with this phrase: if money were no object. But, money is an object, and not having it is an obstacle. In an economy where revenues and contributions are down, non-profits rely on individual donors. While 70% of all giving comes from individuals, just 5% of donations go to the arts. How do we shape a passion for our work into a message that encourages increased giving? This panel explores ways we craft our stories to win the hearts of individual donors. Does the endeavor of creative writing intrinsically encourage the subject of social justice and/or nurture the same? Panelists who work with students, elementary through college age, will discuss the art of teaching youth. They will chronicle the ways in which creative writing often triggers or gives space for idealism in students and empowers a sense of agency. What are the teachable moments and what risks are involved? Although people might agree poets make the world a better place, poetry is often marginalized to classrooms. What happens when we move the poet from the ivory tower into the real world? What if a poet-in-residence could work in the hospital, museum, theater, or science lab? This panel explores how individuals and arts organizations can enliven and deepen the teaching of creative writing through unlikely collaborations.